This is fabulous! 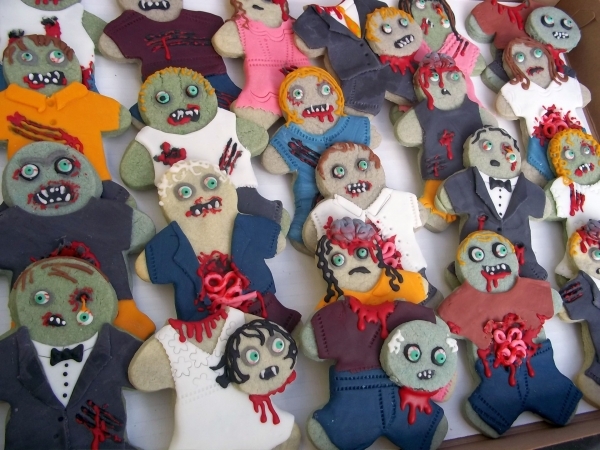 I think I will combine the zombie cookie idea from Cake Central by Corrie Cakes, with the DIY Royal Icing Eyes from Craft Gossip coupled with an idea of my own. Since edible eyes at the store are pretty pricey (approx. 75 for 5 bucks), I had been thinking about how to make the eyes cheaper. A few weeks ago, I picked up candy buttons for my daughter. They were on sale for a dollar a package(450 dots). She was munching on them when I got inspired. 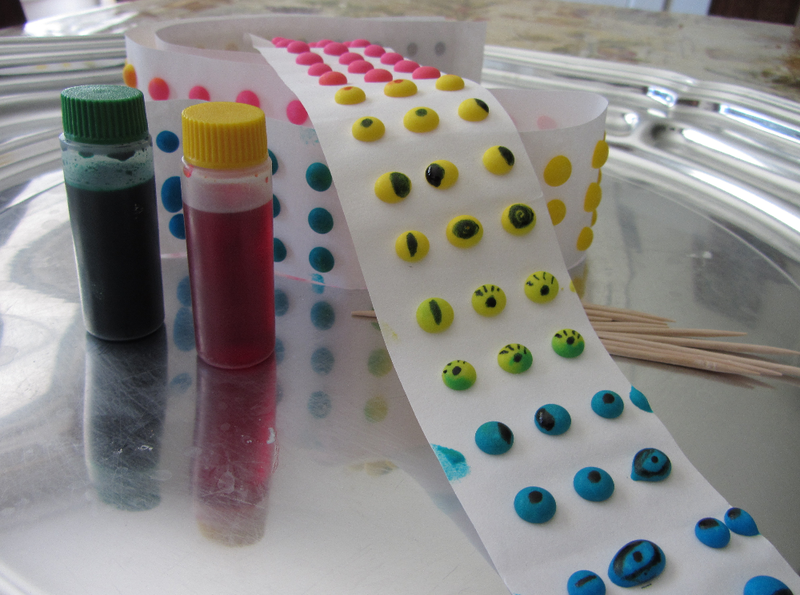 Why not get some food coloring, use a toothpick or small brush and make them eyes? I could add red veins and more! Take a toothpick, dip it in a drop of food coloring and paint the candy buttons. So quick and easy! Photo courtesy of Debbie Morrow. It was an easier alternative to making multiple batches of varying colored dots and it took less than 10 minutes to go from painting the eyes to being able to use them. Since I make a huge spread of gruesome treats at my Halloween Bash, I’ll now have more than enough eyes at a reasonable price. Thank you my creative friends for inspiring me again! This entry was posted in Gruesome Recipes and tagged Cookies, Creative, Do it yourself, Edible Eyes by thewritegirlforthejob. Bookmark the permalink.